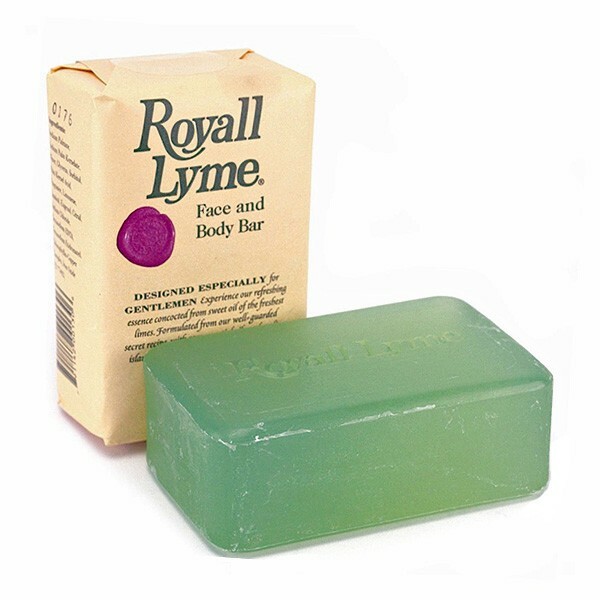 Royall Lyme Bermuda Glycerin Soap for Face and Body Bar is designed especially for gentlemen. Formulated from a well-guarded secret receipe, with rare essential oils and cooling island extracts. Triple milled, 8 oz. bar, made in the USA! Finding the LIME Royall Lime soap was difficult and satisfying...and the Soap Bar's prices and capable service & handling of my order was superb. I am returning to buy more products. The lime glycerin soap is quality and it last surprisingly long and stays fresh. I bought two just for good measure and think I will give more as gifts for other friends who haven't found the soap in years.